I do research in three main areas and incorporate this research into my classes. The first area is the relationship between evolution and human health, where I focus on exploring the mismatch between how our species evolved and lived for very long periods of time in contrast with how we are living today. One of the most dramatic areas of this mismatch is between the diet humans evolved to eat and the diets eaten by most people today. 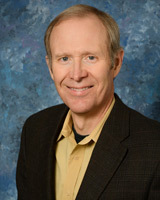 I teach courses exploring these topics, such as “Environmental and Evolutionary Health” and “Evolution and Human Health”, co-authored a related book, The Hunter-Gatherer Within: Health and The Natural Human Diet, and give public lectures emphasizing the importance of this mismatch for Public Health. I also do research on, and have written articles and books on the plants of Texas and work in collaboration with colleagues at the Botanical Research Institute of Texas in Fort Worth. My third area of research is on evolution in extreme environments including tropical rainforests, high mountain peaks, deserts, Antarctica, and the Arctic. In my research I have traveled to all seven continents and have taken students on JanTerm classes and research trips to fifteen different countries. Diggs, G. and B Lipscomb. 2014. Ferns and Lycophytes of Texas. BRIT Press, Bot. Misc. 38. Brock, K. and G. Diggs. 2013. The Hunter-Gatherer Within: Health and the Natural Human Diet. BRIT Press, Bot. Misc. 39. Diggs, G, B, Lipscomb, M. Reed, and R. O’Kennon. 2006. Diggs, G, B. Lipscomb, and R. O’Kennon. 1999. Shinners and Mahler’s Illustrated Flora of North Central Texas. Diggs, George M. Jr. 2019. Implications of Evolutionary Mismatch in the Field of Public Health. Journal of Evolution and Health 3(1), Article 2. View the online lecture. Diggs, G.M., Jr. 2018. Public Health and Evolutionary Mismatch: The Tragedy of Unnecessary Suffering and Death. In press. Commentary to be published on-line for This View of Life (TVOL). Diggs, G.M., Jr. 2017. Evolutionary Mismatch: Implications Far Beyond Diet and Exercise. Journal of Evolution and Health 2(1), Article 3. O’Kennon, R. and G. Diggs. 2011. Llavea cordifolia (Pteridaceae): New for Texas and the United States. Journal of the Botanical Research Institute of Texas 5:351–355. Diggs, G.M., Jr. and R.J. O’Kennon. 2003. A rockhouse habitat in North Central Texas. Sida 20:1327–33. Diggs, G. and P. Schulze. 2003. Soil-dependent fire frequency: A new hypothesis for the distribution of prairies and oak woodlands/savannas in North Central and East Texas. Sida 20:1139–1153. Diggs, G. and B. Lipscomb. 2002. What is the writer of a flora to do: Evolutionary taxonomy or phylogenetic systematics? Sida 20:647–674. Lipscomb, B. and G. Diggs, Jr. 1998. The use of animal-dispersed seeds and fruits in forensic botany. Sida 18:335–346. Ferns of Texas: Why the Lone Star State Is So Special. Texas Discovery Garden, Dallas, TX, July 14, 2018. Trees of Hagerman National Wildlife Refuge and Grayson Co., TX. Hagerman National Wildlife Refuge Second Saturday Nature Program, May 12 2018. I enjoy traveling, hiking, gardening, photography, and trying the world’s most unusual foods.